We’ve heard of people having long layovers and taking advantage of that time to see a new city, but we’d never had that opportunity for ourselves. Our longest layover previously had probably been five hours at the most, and I am much too nervous of a traveler to try to leave the airport and see something with that amount of time. 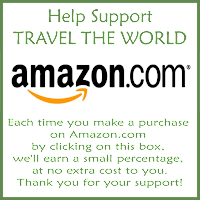 However, when booking our airfare to Georgia, we had the unique opportunity to either take a three-segment flight or take a two-segment flight, with the same departure and arrival times and with a seven-plus-hour layover in Munich. While such a long layover sounds like a potential nightmare, we were incredibly excited as we knew this would allow us enough time to actually leave the airport and experience some of the things to see in Munich in a day, a city we had never visited before, and not have to worry about missing our flight. 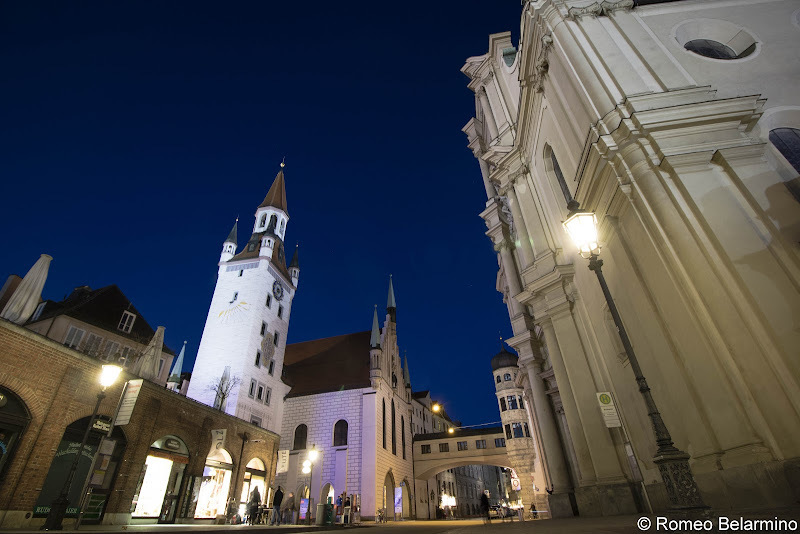 The city center of Munich is approximately 40 minutes away from the Munich Airport. 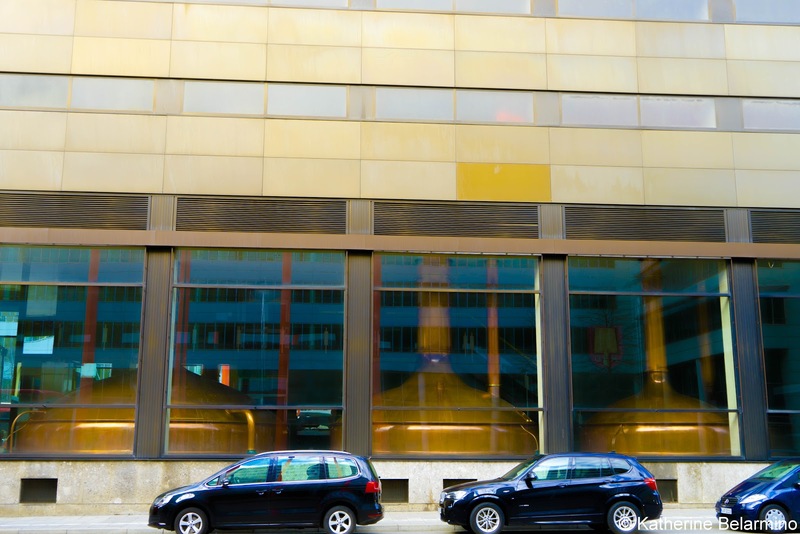 The two easiest ways to get to Munich from the airport are by taxi or by using the S-Bahn, for which there are station entrances right inside the Munich Airport Center. 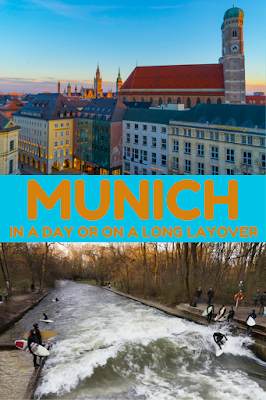 If your budget allows, you can even hire a guide/driver from Taxi Guide München for the entirety of your Munich layover. 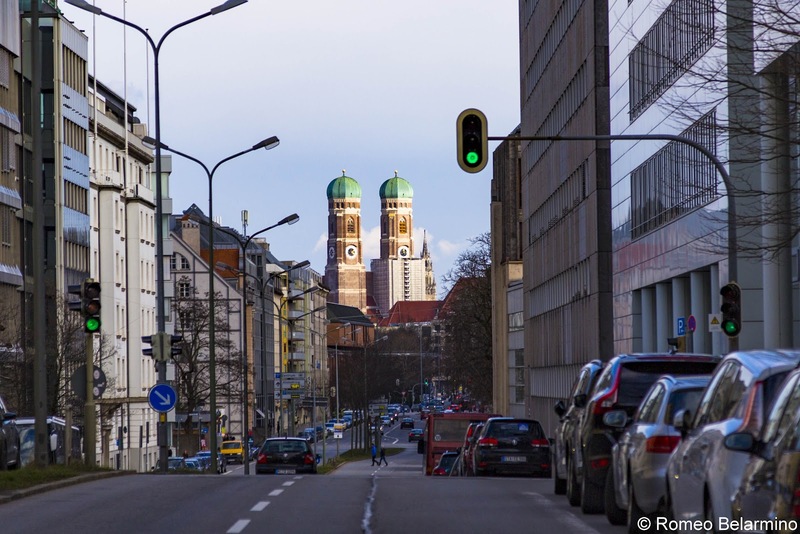 A Munich taxi driver who is also a licensed guide will pick you up from the airport, drive you around Munich to any sites you want to see (or put together a suggested itinerary for you based on your interests), and get you back to the airport in time to catch your connecting flight. Talk about no stress! We were really surprised by how much we were able to see in Munich during our layover. 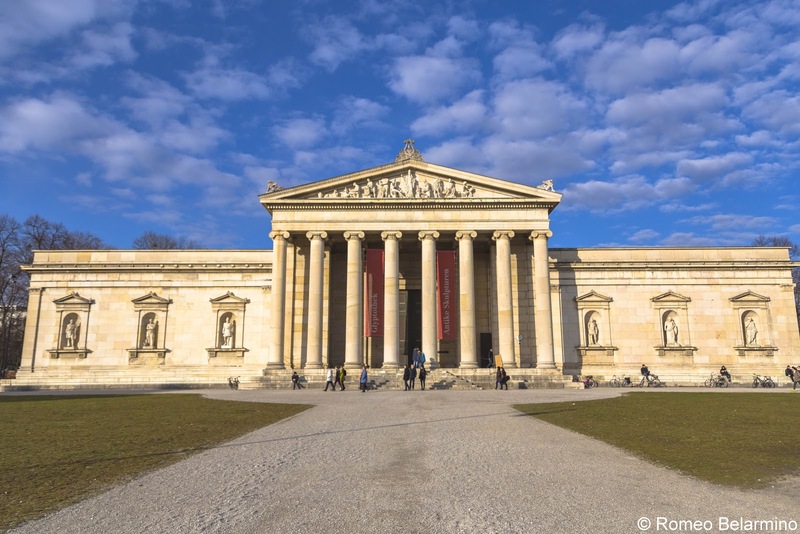 While we didn’t have time to visit multiple museums, we were able to get a good overview of Munich as a city, see some fun and important spots, and get enough of a taste to want to go back and stay for longer someday. We were met at the airport by our taxi guide Werner Hillermann. During our drive into the city center, Werner gave us a little history lesson about Munich so we could have a better understanding of the city we were visiting. Spending the afternoon with Werner also gave us a little insight into the life of a Münchner. Munich was founded in 1158. Munich is situated on the River Isar, which was an important trade route. Munich made its money from widening the river, building a bridge, and charging tolls. Munich went from being nothing more than a bridge next to a little village to the capital of Bavaria, the largest state in Germany. Our first stop in Munich was the BMW Welt, Museum and Munich Plant. BMW is obviously a huge German car company and is the biggest employer in Munich. The BMW company was started 100 years ago, in 1916, building airplane engines. 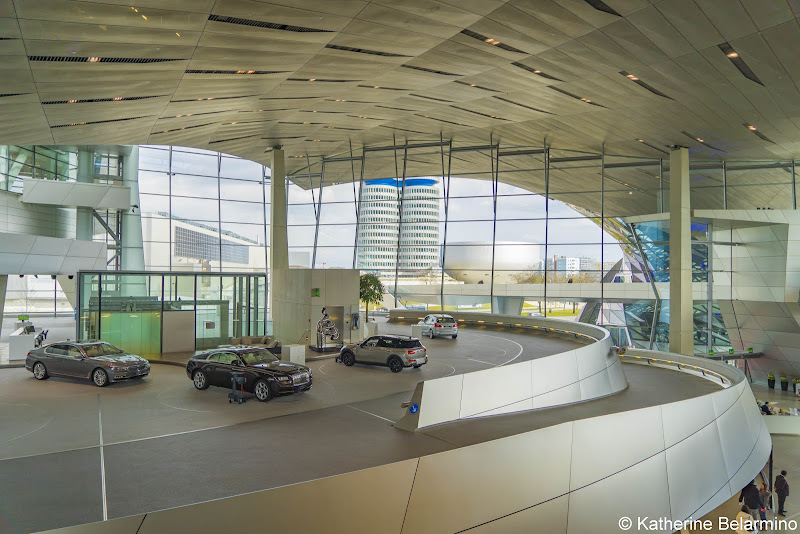 Car lovers will enjoy walking around the BMW Welt, which is free, and looking at the range of BMW vehicles, both old and new. The architecture of the building is pretty stunning too. Unlike some cities that build huge buildings for the Olympics which never get used again, Munich made sure that their Olympic structures continued to be used for years after the 1972 Olympics left. 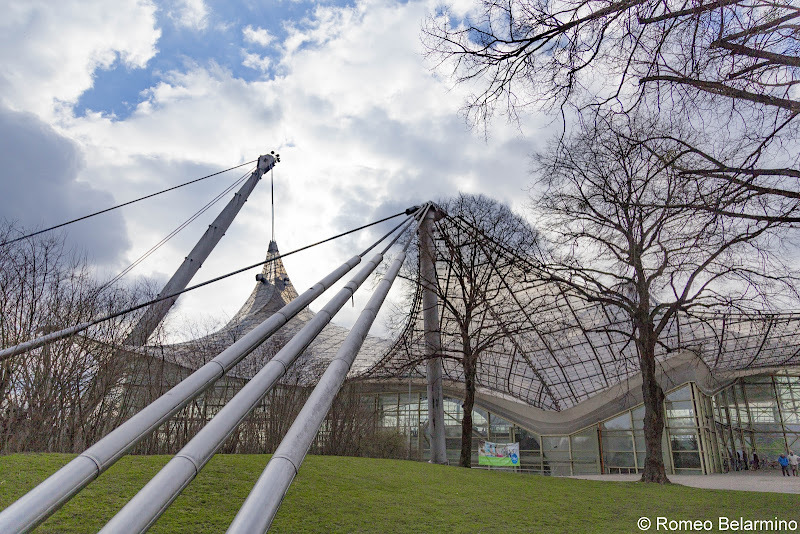 We visited Olympiapark, which has a beautiful outdoor park and lake, an Olympic pool where Mark Spitz won a record-breaking seven gold medals and which is still in use today, and the Olympic Tower which oversees it all. If you have the time, you can even climb the Olympic roof and repel or zip-line off. The Olympic Stadium is still used for conferences, concerts, and other performances. This is, Werner explained, the German way; no waste. 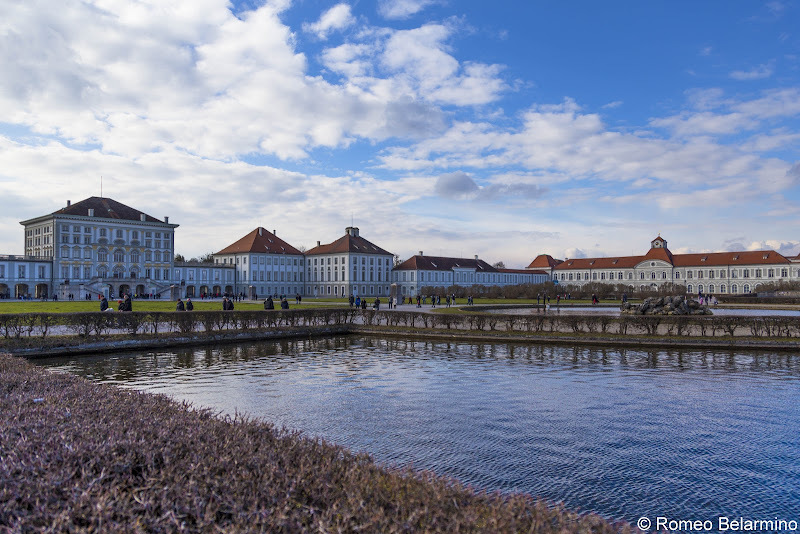 We continued on towards Munich’s city center with a quick stop at Nymphenburg Palace. This is one of Munich’s two castles and was the summer residence of the Bavarian royal family. The castle was completed in 1679. Ludwig II was born at Nymphenburg Palace in 1845. He is responsible for building some of Bavaria’s most important castles including Neuschwanstein Castle, one of the castles used as a model by Disney for Cinderella’s castle. A descendant of the royal family still lives in one of the buildings on the castle grounds. There is also a Nymphenburg Porcelain Manufactory on the grounds where travelers can visit and purchase porcelain made in the old style. Behind the castle are large gardens which used to be stocked with deer for hunting. 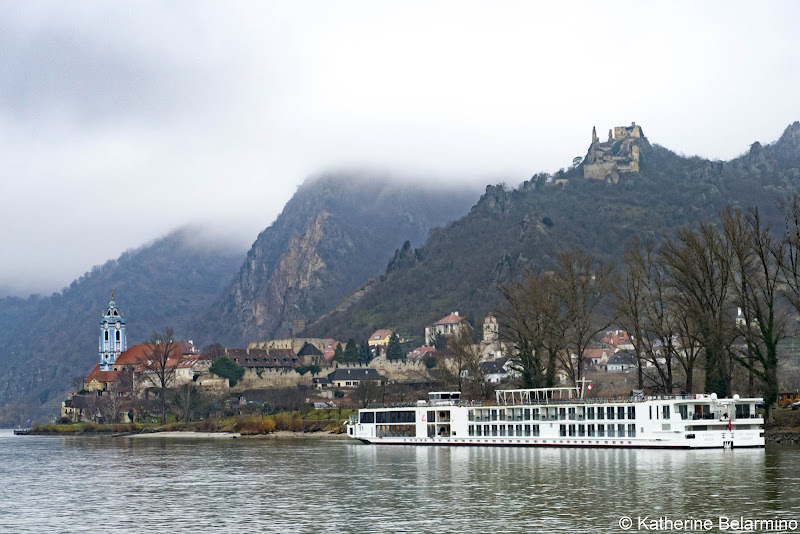 An artificial canal leads to the castle, which used to be a type of reservoir for the city. The canal freezes in the winter and is used for ice skating and curling. Continuing towards the city we drove along Aldringen Street, a street with 150-year-old buildings that miraculously were not destroyed in the war. We peered in the windows of Spaten-Franziskaner-Bräu GmbH, one of Munich’s many breweries. We learned that in 1516, the Reinheitsgebot, or the German Beer Purity Law, was passed which decrees that beer can only contain water, hops, and barley. If there is anything else in it, it cannot be called beer. Therefore, forget your coffee stouts and your chocolate porters while in Germany. Across the street from the brewery is Circus Krone, one of the largest circuses in Europe. The Beatles performed in the same building in the 1960s. We also passed by the Löwenbräukeller Biergarten, where you can bring your own food, relax, and drink beer. We learned that Oktoberfest did indeed start as an October celebration, but was changed to September to take advantage of the better weather. Oktoberfest started as horse races; beer was added later. 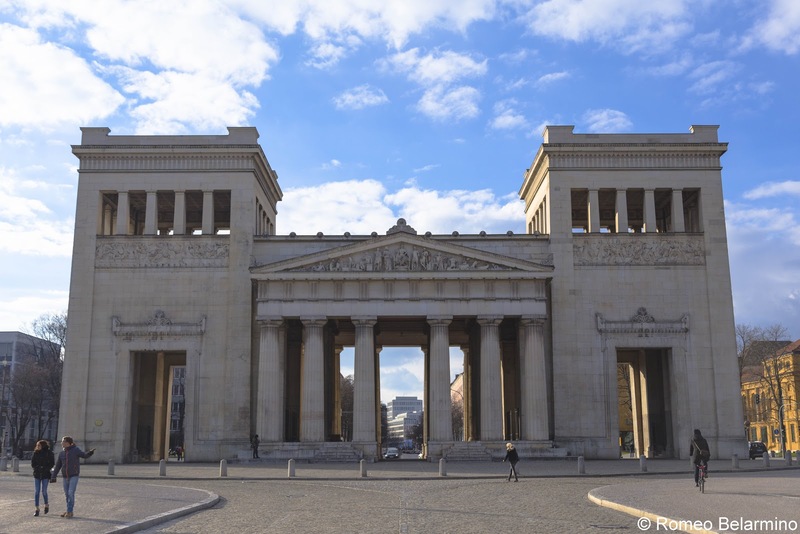 We arrived at Königsplatz, King’s Square or Royal Square. This square was inspired by Ludwig I, the grandfather of Ludwig II, who wanted culture and administration all together in a green setting. The gate is modeled after the Parthenon and the towers after the Lighthouse of Alexandria. A number of Munich’s museums can be found in this area. Since we only had a few hours for our Munich layover, we decided the Munich museum we would visit would be the Munich Documentation Centre for the History of National Socialism. During our time in Nuremberg, we had a chance to visit a documentation center and a few old Nazi sites. The Nazi period is such a tragic black mark on the history of Germany. 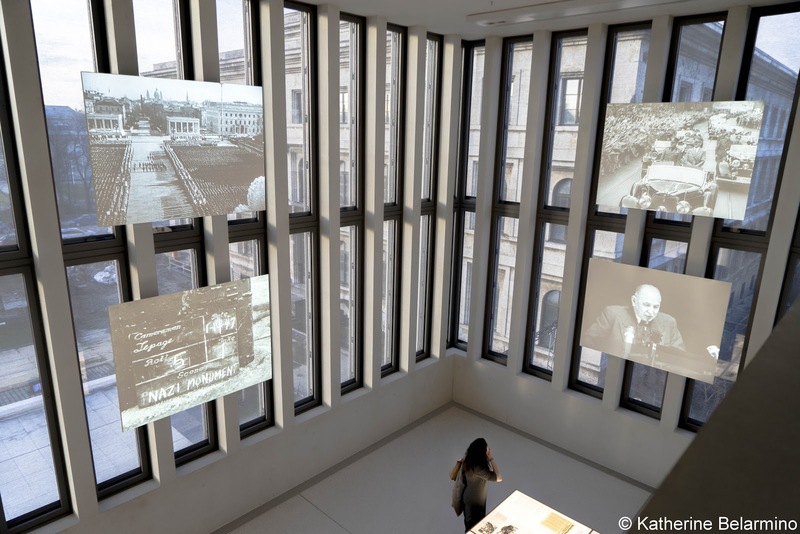 It took until the 1980s to do so, but Germany has created places like the Documentation Centre as reminders of this dark time in history so that it will never happen again. The Documentation Centre documents how Hitler was able to come to power, a man that stood trial and was sent to prison, was kept from speaking, and yet still was voted by the people into power because he found an audience willing to listen, preyed on their fears, and convinced them the Jews were responsible for the Great Depression, taking all their jobs, and taking all their money. It’s rather fitting that the consulate for Israel recently opened next door to this old Nazi building. One of the unique things to see in Munich is river surfing. Munich has its own perpetual wave that is always available for surfing. This unusual spot is found on Prinzregentstrase near Bruderstrase. 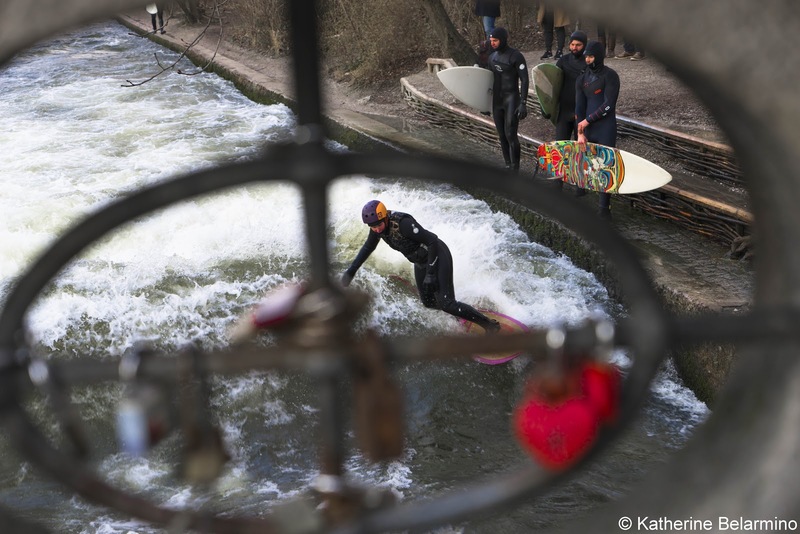 Surfers come to the Eisbach, a small man-made river that runs through the Englischer Garden. In true German fashion, surfers wait patiently in an orderly line along the bank of the river. A surfer jumps in with his or her board and rides the wave for as long as they can. As soon as they fall, that surfer moves to the side as the next surfer in line jumps in. Even in the cold of winter, surfers get in line while crowds watch from the banks and the bridge above. Our next stop was the Promenadeplatz, Promenade Square, which was built in the late 17th century for people to literally promenade on Sunday. In this square is a monument to Maximilian, who conquered the Turkish army. There is also a monument to the musician Orlando di Lasso, a musician from the time of Mozart. The monument is known as a double monument because now the base of Lasso’s monument is dedicated to Michael Jackson. 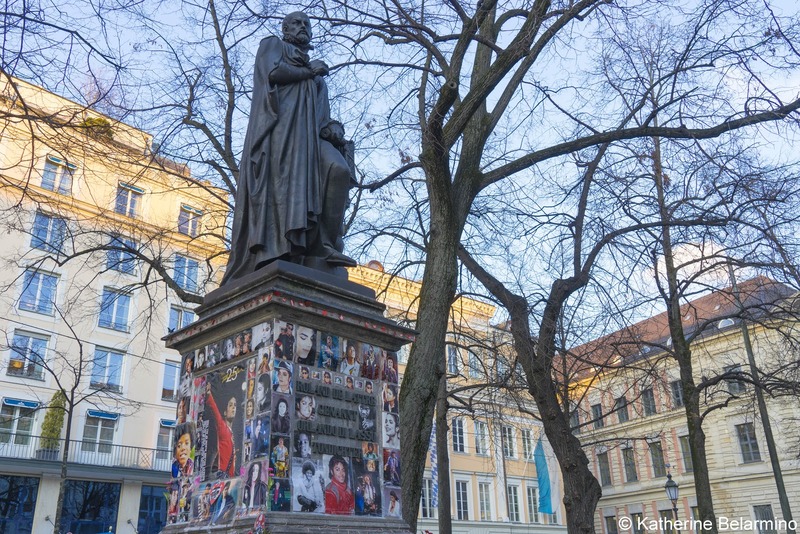 The monument is in front of the Hotel Bayerischer Hof, Michael Jackson’s favorite place to stay while in Munich. 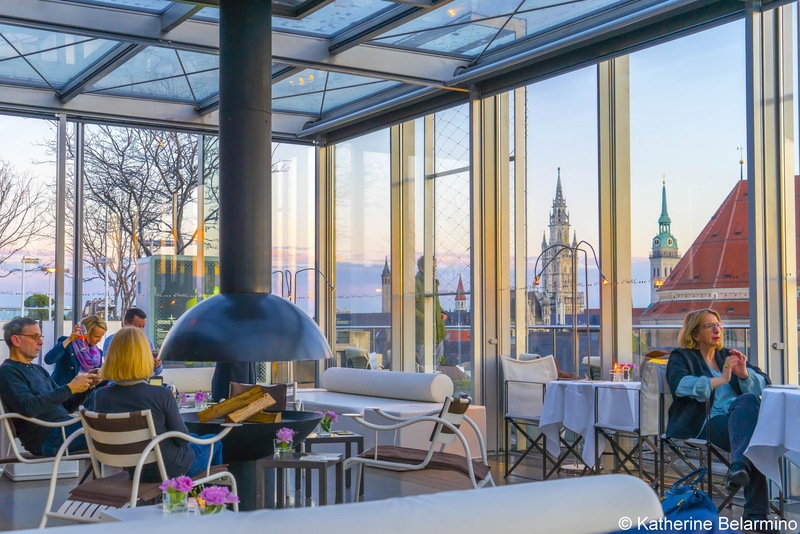 For a rest and a panoramic view of the Munich city skyline, enter the Hotel Bayerischer Hof and head upstairs to the Roof Terrace and Roof Terrace Lounge. The towers of Frauenkirche, Munich’s Cathedral Church of Our Lady, tower over the city. The cathedral was built in the 15th century and took only 30 years to build. No building in Munich can be higher than the roofline of Frauenkirche. The popularly used name of the church is onion towers because the domes on top of the towers look like bulbous green onions. After a coffee and a look at the view, we visited Marienplatz, Munich’s most famous central city square with its city hall and clock tower. At certain times of day (11:00 and 12:00 in the winter and additionally at 5:00 in the summer) the clock puts on a show. The top portion of the Glockenspiel features a jousting match between Bavaria and France. The Bavarian knight wins every time. The bottom half is dedicated to beer with a dance performed by coopers, or barrel makers. 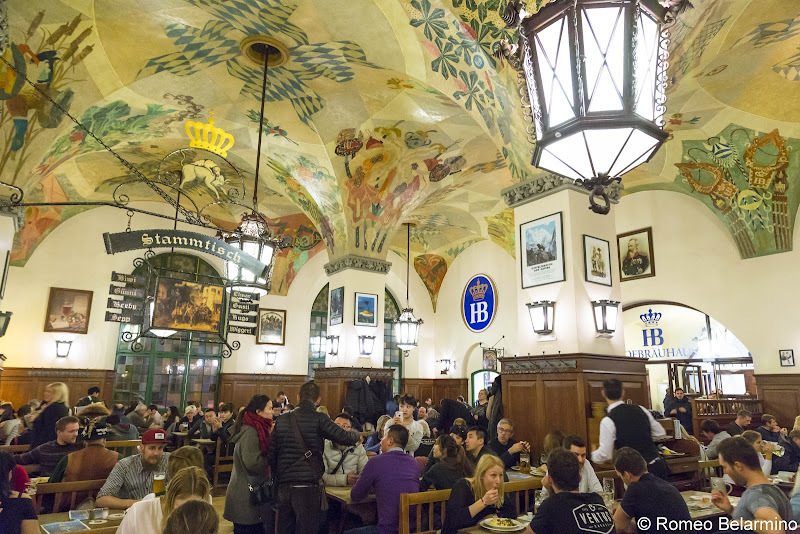 Another place that must be visited while in Munich is the Hofbrauhaus, the biggest and most important beer hall in Munich. We got to take a peek at the beer stein lockers, as Werner is a proud key holder to one of them. It only costs three Euros a year for a beer stein locker and there is a long waiting list. 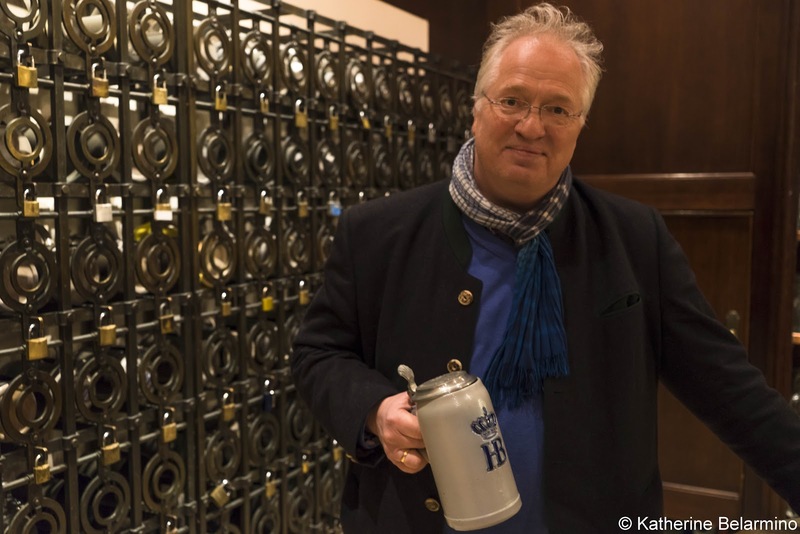 When Werner wants to drink beer but doesn’t want to talk, Hofbrauhaus is the place he goes. If he wants his beer filled, he leaves the lid up, if it's closed, it means he has enough. The only time he needs to speak is when he wants his bill. Hofbrauhaus is touristy, but it is also an important and easy place for locals. 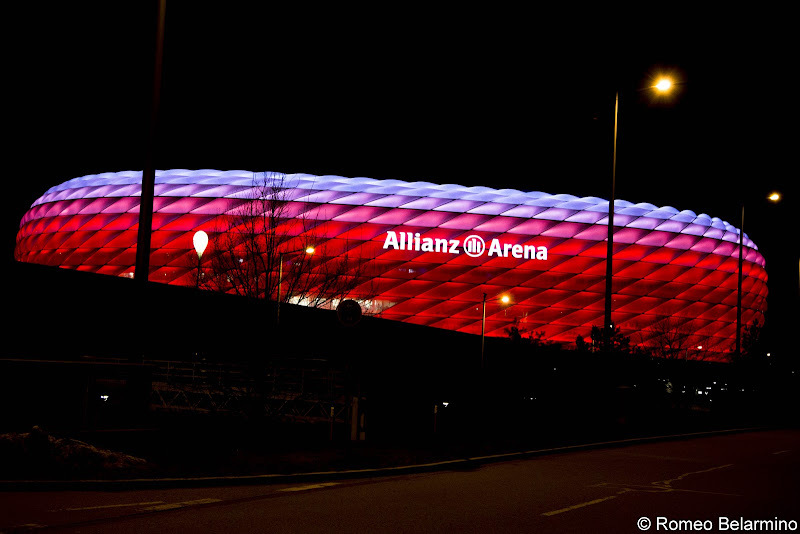 On the route between the Munich Airport and the city center, we passed the Allianz Arena, Munich's soccer stadium. The people of Munich are big soccer fans. The stadium seats 75,000 and games are always sold out. Season tickets are impossible to acquire, so Werner was very proud to be able to tell us that he holds a pair of season tickets with a friend. At night, the stadium is lit up in different colors depending on the season or events. 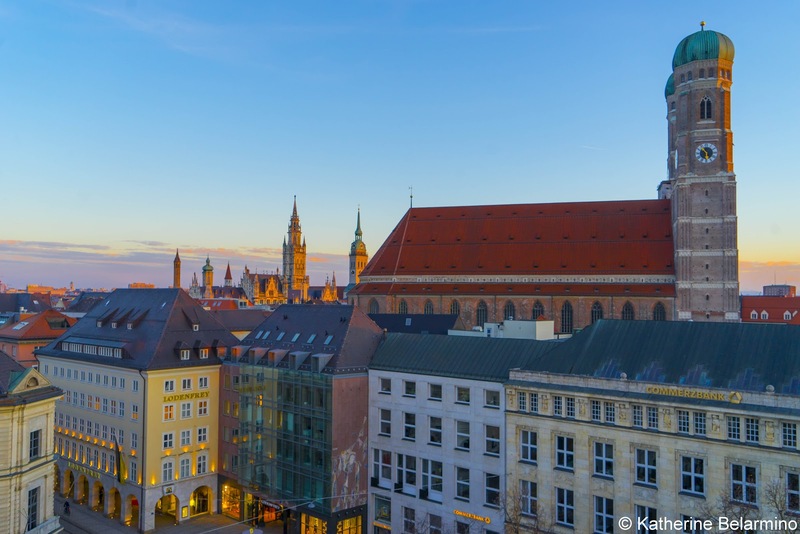 If it looks like you’re going to have a long layover in Munich that’s over six hours, get out and see Munich. At the very least, jump on the S-Bahn and head into Marienplatz for a wander and a beer. 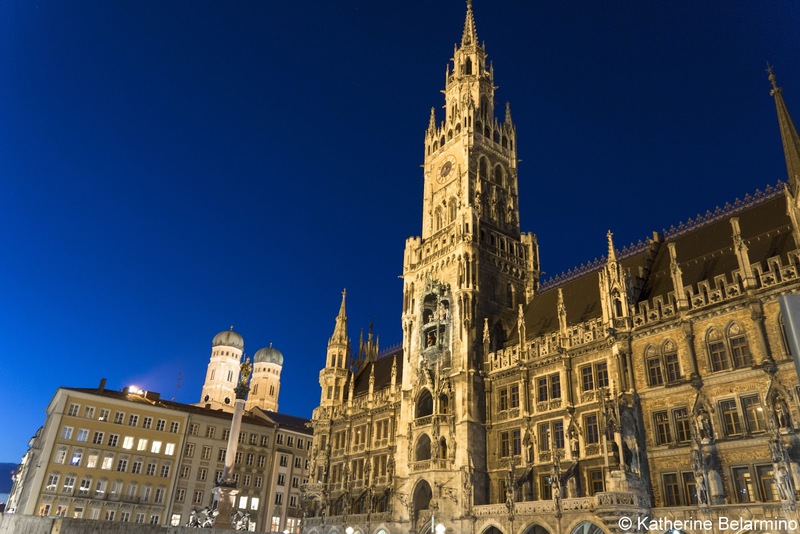 If you want to get a more in-depth tour of Munich, book with Taxi Guide München for two hours or more. 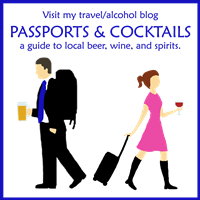 They can put together a tour like they did for us, or any tour you prefer, with themes such as beer, museums, castles, or churches, or even a visit to the nearby Dachau Concentration Camp. You can also contact our driver, Werner, directly by email at wrhillermann@t-online.de. We were so excited to have a chance to spend half a day in Munich during our long Munich layover, and we were surprised by how much we were able to see in such a short period of time. Plus getting out and about during our layover also helped us avoid some jet lag as well. Thank you to the Munich Tourist Office for hosting our long layover in Munich and making this post possible. As always, all opinions are our own.